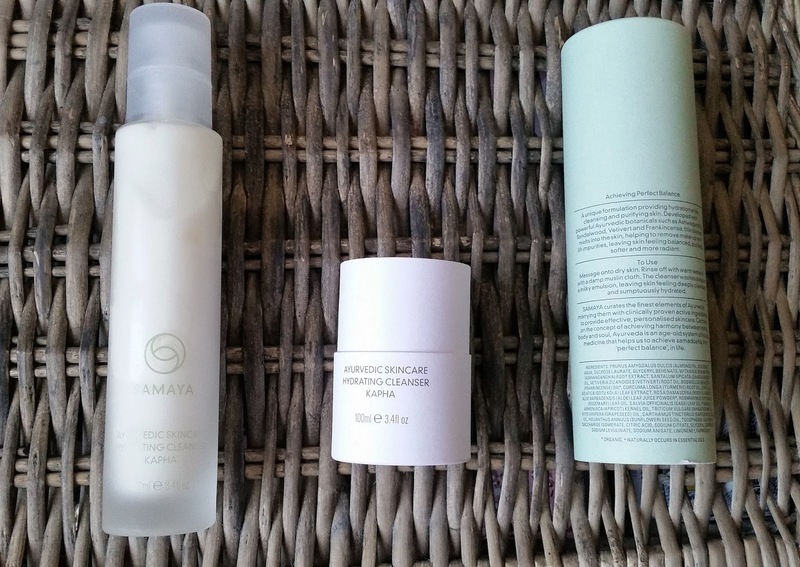 Home / SkinCare / Samaya Ayurvedic Skincare - Kapha Hydrating Cleanser. 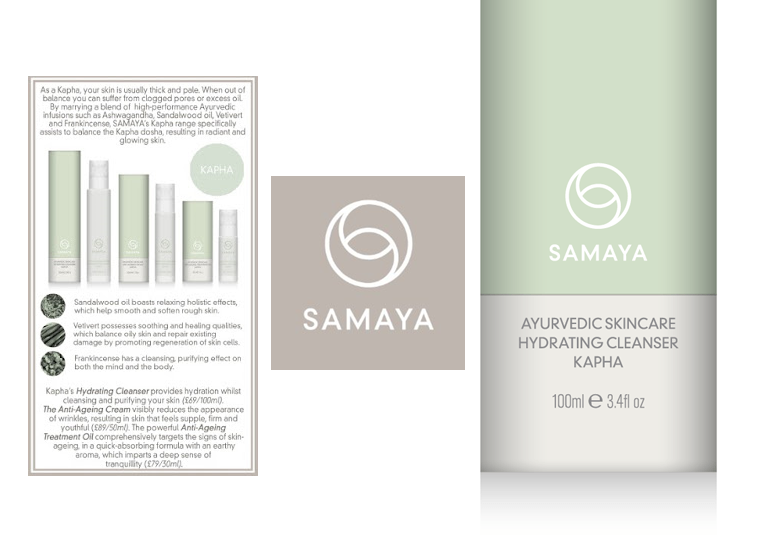 Samaya Ayurvedic Skincare - Kapha Hydrating Cleanser. SAMAYA, based on Ayurvedic principles is perfect for those looking for natural Skincare that gives you radiant skin as well as helping to achieve perfect balance and well-being. We are used to seeing skincare that combines natural ingredients with effective results – but what about a range that also provides a wellness benefit? Formulated in accordance with Ayurvedic principles, where ingredients are chosen for their ability to pacify and balance particular types of constitutions, SAMAYA is a high performance holistic skincare brand that also aims to help you achieve wellness and the perfect balance in your life….isn’t that just what we need to help combat the hectic modern lifestyles we lead?" Botanical ingredients which are free from parabens and synthetics, each range has a unique aroma that brings calm and serenity through the SAMAYA experience. DISCOVER YOUR DOSHA SKIN TYPE. Are you Vata, Pitta or Kapha? Discover Your Dosha Here! I was kindly sent the Kapha Hydrating Cleanser from the KAPHA dosha range and was surprised on how good the packaging looks, it sets itself apart from any cleansing product on the market. SAMAYA products are free from Parabens, sulphates, PEGs, TEA, DEA. Propylene Glycol, Phthalates, Petrochemicals, Synthetic colour, Synthetic Fragrance, Mineral Oils and Silicone's. The hydrating cleanser is situated in a pump glass bottle that sits safely upright in its cylinder tube packaging. On the packaging is a description of the product: A unique formulation providing hydration while cleansing and purifying skin. Developed with powerful Ayurvedic botanical's such as Ashwagandha, Sandalwood, Vetivert and Frankincense, this cleanser melts into the skin, helping to remove make-up and lift impurities, leaving skin feeling balanced, purified, softer and more radiant. Restorative, calming, mood-boosting with relaxing holistic effects; astringent, antimicrobial and anti-inflammatory properties help smooth and soften rough skin; heady aroma can lift mind, body and soul. Massaging the Hydrating cleanser onto dry skin, you will notice the consistency is very light and silky. The colour of the cleanser is of a white colour and the scent is an inoffensive collection of pure natural aromas. After application you can either rinse off with warm water or with a damp muslin cloth, both ways work just as well. During the rinse off you will notice the hydrating cleanser washes away as a milky emulsion, leaving your skin deeply cleansed and extremely hydrated, perfect for the sensitive or dry skin types and the winter months where you skin becomes thirsty for hydration. You only need a little of the luxury cleanser that glides over your skin with ease, so i can tell the 100ml you receive is going to last more then a few months of use. The packaging is great as once you have finished using the cream, you can then pop it back into the tube, and it will be safely stored and out of sunlight until its next use. 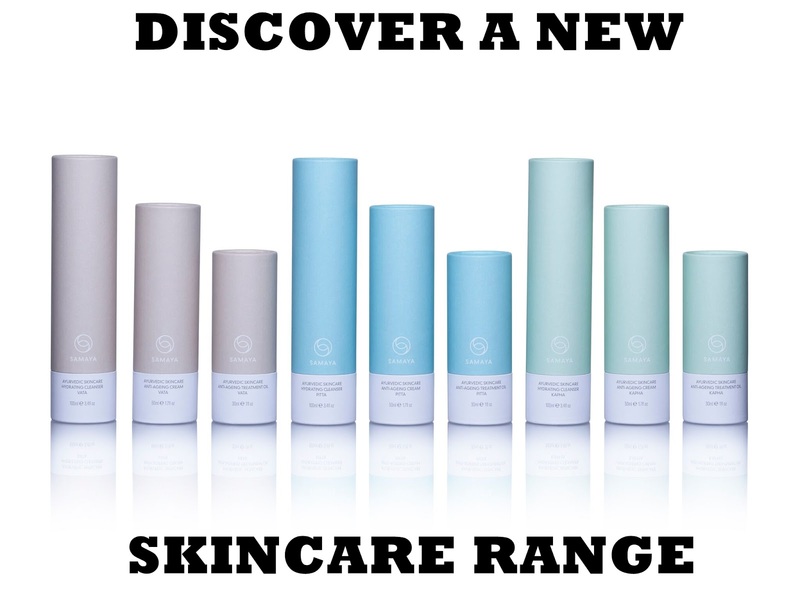 If your looking for a skincare range that not only will nurture and improve your skin but also balance your dosha, head on over to SAMAYA to start you on your skincare and well-being journey. X Neil.